Space Coast Beach Buzz: Always Look Up to Your Mother! Always Look Up to Your Mother! Mom! Where are you, Mom? That's better. Happy Mother's Day! 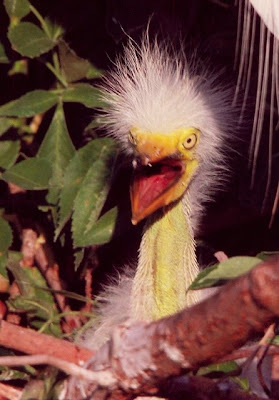 Hi Marge, thanks for visiting my new blog! 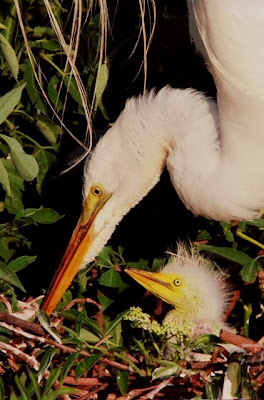 I have to say, the pictures of the mother and chick egrets you posted for Mother's Day were the best! Definitely brought a smile and a laugh my way. Leatherbacks, Heroes, and Urchins - Oh My! Oh baby, baby, it's a wild world! Armed Forces Day 2009 - HOOAH! Why is This Alligator Smiling? Lights Out for Sea Turtles!